The function of the skin peel is to create an even, controlled shedding of several layers of damaged cells. This exposes a new fresh layer of skin with a more even colour, smoother texture. Peels use a naturally based chemical solution to remove damaged outer layers. It is especially helpful for those individuals with facial blemishes, wrinkles, and age spots. When these agents are used in a program of skin care, our clients have experienced a dramatic reduction in age spots, fine lines, and facial blemishes. All treatments require no downtime or burning, and you can expect to immediately return to your normal daily activities. Chemical peels are ideal for individuals who want to reduce the effects of aging through a long-term program of chemical peels and appropriate skin care products. The program begins with a 4-6 week skin preparation regime. The therapeutically designed cream used during this initial stage contains Retin A, Hydroquinone, Steroid and a fat soluble Vitamin C.
A series of three peel treatments follow the skin preparation. These are ideally administered at three-week intervals and are tailored to your needs. Following this, you will be placed on an individualized skin care maintenance program. There are a very wide range of chemical peels using different agents. Lighter peels, using AHA (Alpha Hydroxy Acids) are usually done as a series of several peels and the initial effect is like a very faint sunburn. Deeper peels are usually a one-off and may cause crusting and a more intense sunburned look requiring up to a week off work. 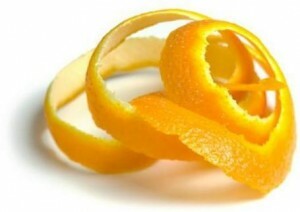 These peels are usually performed in a day surgery center under light sedation. Our trained staff can recommend a program of skin care products and chemical peels that will meet your needs.